We love serving Naples, and our surrounding community through slate maintenance and restoration! Our Naples slate or surrounding area restorations are always interesting to us. 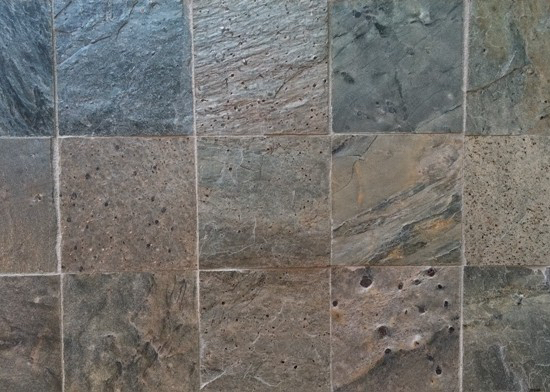 Every slab of slate stone that makes up your counter-top or tiles is comprised of different types of minerals. 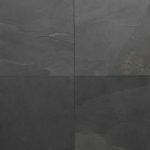 Through years of experience our slate technicians gain an understanding of how each individual slate floor, slate countertop, or slate wall react, and how to deliver your desired result. 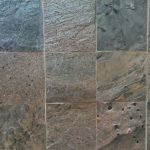 Being the longest standing marble restoration company in the region has afforded us the expertise to handle any slate stone related problem presented to us. Jim Lytell started his Flooring Business in Ft. Myers Beach, Florida back in 1969. Since establishing his niche marble restoration company in 1981, Jim Lytell sets the industries uncompromising standards and continues to pioneer the marble restoration industry to this day. From big jobs to small polishing jobs, local jobs to far away jobs, we can do it all. Call us to set an appointment. We’ll evaluate your slate cleaning and sealing needs, and give you a free estimate. 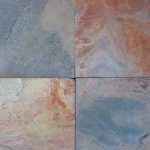 When speaking to Jim Lytell Marble and Stone Restoration, or your local company, it is useful to know about your slate floor. 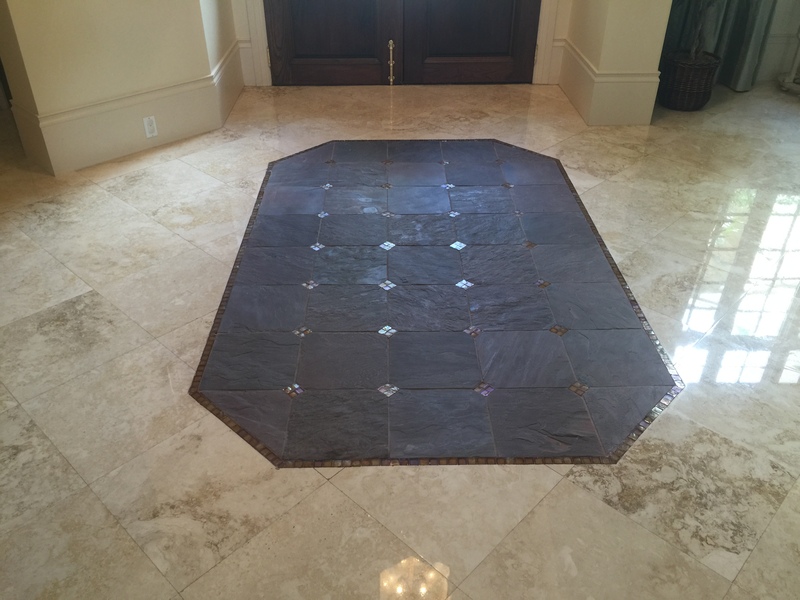 Your Naples and surrounding area slate floor is a siliceous metamorphic stone that has a sheet-like structure. 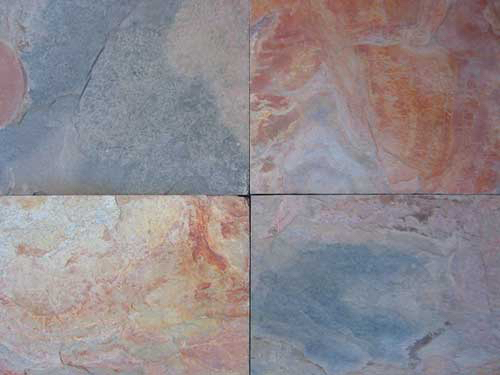 It is composed of clay, quartz and shale, and comes in a multitude of colors. In terms of its mineral composition, slate is comprised primarily of quartz and mica minerals, including muscovite, illite, and/or biotite. It can also contain chlorite, hematite, or pyrite. The color of slate is determined by the color of the minerals in its parent rock, and can vary from shades of green to red, to gray/black. There are also intermediate colors that are sometimes found, including red-browns, green-blacks, and even occasionally shades of purple in certain parts of the world. Its strong and weather-resistant nature has made it an ideal choice for many applications. It is used for everything from flooring and flagging outdoors or indoors, fireplaces. Today most slate comes from the USA, Brazil, Wales and the United Kingdom, India, China, and South Africa. Free On Site Estimates for your slate floors or counter tops.